Hope you all had a fabulous weekend. I had the most lovely time in Galway with Sean. Hayfever is at an all time high the past three days and it’s so hard as I cannot take anything due to being pregnant. As you all know, I am a total PENNEYS HUN and actually love it so much. I was in Penneys the other day & I thought to myself, I was only in this place three days previous & I’m back again…..I thought it would be only gas to do a blog post on Penneys and what most of us if not all of us will have gone through whilst shopping in Penneys at some stage. If you have followed my blog for a long time, then you will know that I love nothing more than just writing posts that are pretty much exactly what I’m thinking. Before a holiday I always feel the urge to go into Penneys. I could have everything I need for the holiday but GOD FORBID I missed out on another new €8 swimsuit. I actually have FOMO thinking I would miss something new. I went into Penneys in Drogheda the other day which let me add is actually not my favourite Penneys. I saw a pair of sandals and said to myself ‘Ahh I’ll get those now in HUNdrum next week. No point getting them here’. I mean when it comes to Penneys, it’s all about HUNdrum (Dundrum to those of you that may not know). The HUNdrum Penneys is just divine. The following week I jumped in the car & headed out to Dundrum which is actually over an hour away for me but I was going to an appointment anyway so made sense. I went in, spent over an hour looking around & the sandals were all gone. They only had bloody size 3 left!!!!!! Later that day when I was back in Drogheda, I went to Penneys and I finally got the sandals 🙂 They were standing there proud staring at me saying ‘I’M HERE AOIBHE. BUY ME’ and that I sure did. As a fellow Penneys Hun, you will totally understand the feeling of going into Penneys to buy ‘tights for work & cotton pads’ and coming out with everything and the kitchen sink. Only going in to spend €10 and coming out €100 later, leaving with a bag so heavy you need two paper bags incase it rips. It is so difficult to go into Penneys and not spend a fortune. There is always something you need, like those new sunglasses cause it’s always sunny in Ireland 😉 or the need to buy about 10 white string tops just because they are only €1.50! Another thing most of you will agree with is the need to buy JUST ONE MORE bottle of fake tan. I legit have so much fake tan, I could open my own stall. Every time I’m in Penneys, I throw another bottle in regardless if I need it, it will go in the basket. Sean asked me last week was I ok as I didn’t put a bottle in my basket so I threw one in JUST INCASE 😉 The way I go on, you would think there was a shortage of the stuff. The hair clip issue is also a thing. Now I know ALL of you will agree here. I swear I buy more hair-clips than I buy food. They just disappear on me. I can have three packets one day & the next I have only ONE CLIP left. I just don’t know where they go. They may only be €1.50 a packet but it’s a joke. I swear they grow legs and walk. 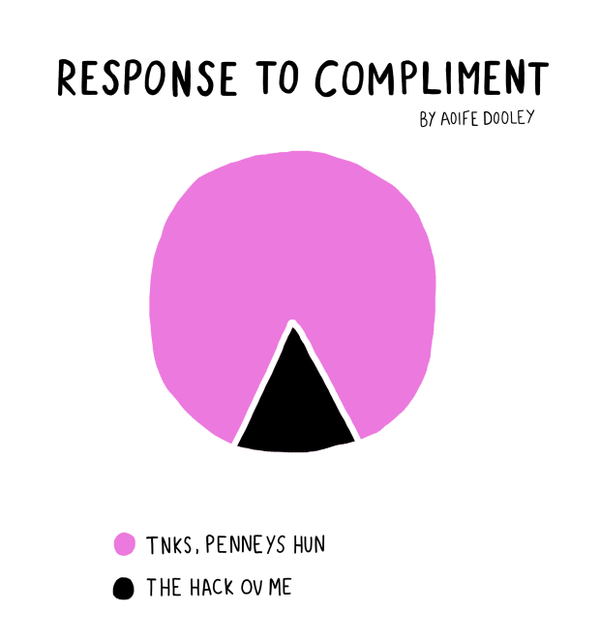 Another funny Penneys story was when I saw a girl in work last month wearing a pair of gorgeous black flats. I asked her where she got them and her reply was not what I expected. Like most Irish girls, she replied PENNEYS!!!!!!!! My jaw dropped to the floor. The shoes were an EXACT replica of these Christian Louboutin flats I spotted on Instagram a few months back. She told me they were only €10 and I thought to myself that I needed those shoes in my life asap. The next day I headed to Penneys in Blanchardstown on my day off and found the shoes. I got three pairs of them as I knew I would wear them loads over the Summer and they were such a good copy of the CL flats too. When I got to the till the lady said ‘Three size fives’ and laughed. I said ‘yes three size fives, all for me.’ I told her about them being a replica of the CL flats and she was like ‘I’ll buy myself a bleedin’ pair of those’. What happened next was even funnier. The following day I was out in Blanchardstown for a different reason and I had forgotten to bring a pair of flat shoes with me and I only had heels in my bag. I needed flats so off to Penneys I went. I couldn’t see any flats I liked at all but they still had the CL flats I had bought the day before. I decided to buy another pair of them and up to the till I went. What are the chances the same lady serves me from the day before?? YES!! The same woman. I could see her looking at me weirdly. I pretended to play dumb and then she said ‘you must really love those shoes love’. I DID!!!! I loved them so much I wanted a 4th pair. She thought I was nuts but I just really needed a pair of flats for work. I walked away laughing to myself as she really thought I needed my head checked buying a fourth pair of the same shoe. Trying to find the right underwear size and throwing every other piece of underwear in sight to try find your size. When your basket is full & your only allowed 5 items in the fitting room. Seriously???? When spending more than €20 on one item is a BIG DEAL 🙂 Ohhh god €20 for that blazer seems a lot…But really something similar is €50 in Zara! I do need all this stuff right? Yes!!! You absolutely need those 5 new fedora hats, 3 belts, 2 necklaces & 2 clutch bags. You’re waiting in line at the checkout & you seem to accumulate even more stuff. Bobbins, hair clips, face wash, multi packs of everything. Totally needed yeh? NOT!!!!!!! When you see someone holding something & you think I WANT THAT! She points you in the direction of where she got it, NO LUCK! Can’t find it anywhere.. The feeling of knowing you have too much stuff in your basket to try sort through what you really want/don’t want, so you just buy it all anyway. The absolute fear as the checkout lady packs your bags & you end up with three big bags of stuff. That will be €173 please? WHAAAAT??? I always think about what if we didn’t have Penneys? What if Penneys didn’t exist? Most of Ireland would be walking around naked that’s what. It’s true. We all own Penneys clothes and those of you saying you only buy ‘your socks & pyjamas’ there. YEH YEH!!!!! It’s like back in 2007 when you ‘didn’t shop in Lidl’ YOU SHOP IN PENNEYS. 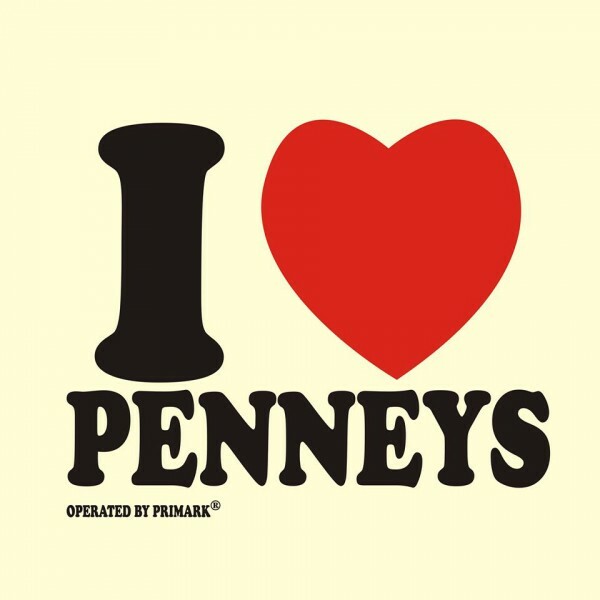 I think my life without Penneys would be boring and dull. My weekly trips to Penneys make me smile & happy. As a fashion blogger, I like to spend my money on handbags and shoes. I spend money on investment pieces that will last a lifetime. I’m not expecting my €12 skirt from Penneys to last me five summers. If it lasts one Summer I’m thrilled with my life. I will continue to shop in Penneys, mixing and matching all my favourite highstreet stores with my Penneys pieces. Yesterday I was wearing a blazer, jeans and top which are all from Penneys. The lady in the Woodies asked me where I got my outfit from? To which I replied with a massive grin on my face……PENNNNNNNEYS!!!!!! How many times has this happened to you below?